Provide comfort for the family of Susan E. Wood with a meaningful gesture of sympathy. 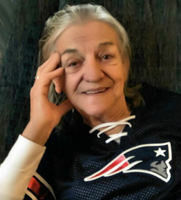 BANGOR – Susan E. “Sue” Wood, 75, died peacefully March 5, 2019 at her home, surrounded by her loving family by her side. She was born December 6, 1943, in New Britain, CT, the daughter of Arthur R. Mason, Jr. and Dorothy E. (Zink) Mason. Surviving are her five children from her marriage of many years to Louis "Woody" Wood, Jeff Wood and Valerie of Glenburn, Bruce Wood of Hudson, Karen and her husband Kenny Rogerson of Bangor, Catherine and her husband Robert Allard of Glenburn and (Louis) Michael Wood and his wife Kim of Bangor; ten grandchildren, Erin, Cody, Garrett, Danielle, Brian, Peter, Evan, Brittany, Tyler and Tiana; 10 great grandchildren, Brannen, Daniel, Louis, Cameron, Holly, Harold, Raiden, Myles, Timothy and Ian; two brothers, Larry Mason of Hubert, NC and Raymond Mason of Lawrenceville, GA, as well as a sister, Roni Mason of Bristol, CT and many nieces, nephews and cousins. 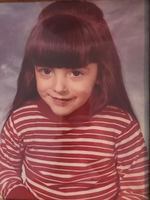 In addition to her parents, she was predeceased by a great grandson, Julian Michael Wood and three nephews, Marty, Danny and Ricky. We encourage you to share your most beloved memories of Susan E. here, so that the family and other loved ones can always see it. You can upload cherished photographs, or share your favorite stories, and can even comment on those shared by others. Provide comfort for the family of Susan E. Wood (Mason) by sending flowers. Dear Catherine and family, In recent years, Sue had two main goals that she set for herself. Those were to regain the love and respect of her entire family and to let each of you know how very proud she was to call you her own. She undeniably valued and loved each and every one of you and hoped that you would always hold tightly to the familial ties that bind you together.She had a unique way in which she chose to confront her personal trials and tribulations. I will always remember the times when her fervent tenacity and adversarial nature would explode only to reveal her inner most fears, struggles and human frailties. With sincerest of admiration, I will recall her luminous strength of spirit, steadfast will and abounding courage as she steadied herself for the last fight of her life. On many occasions, I was fortunate to find myself in the presence of her smile and hearty laughter. Now I shall treasure both as being among my fondest memories. Wanda Seymour Per her request, I submit the following: WHEN I'M GONE Author unknown When I come to the end of my journey And I travel my last weary mile, Just forget if you can, that I ever frowned And only remember my smile. Forget unkind words I have spoken; Remember some good I have done. Forget that I ever had heartache And remember I've had loads of fun. Forget that I've stumbled and blundered And sometimes fell by the way. Remember I have fought some hard battles And won, ere the close of the day. Then forget to grieve for my going, I would not have you sad for a day. But in summer just gather some flowers And remember the place where I lay, And come in the shade of the evening When the sun paints the sky in the west. Stand for a few moments beside me And only remember my best.